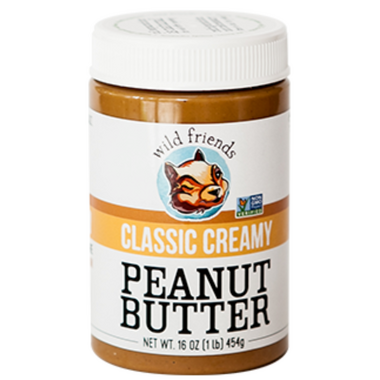 An all natural classic creamy peanut butter! Made with friendly ingredients, a clean nutritional panel and 100% non-GMO. Ingredients: Roasted peanuts, sea salt. Made on Equipment Which Also Processes: tree nuts, wheat, soy, sesame. This is by far the best natural peanut butter I have ever tried-and I have tried a lot. It tastes the most like it here peanut butters but without all the unnecessary junk. My kids also love this one. My family was very excited to try this PB but my wife, daughter and I have all relegated it to cooking with instead of enjoying by itself or on on ricecakes, apples, etc.